PokeSniper 2 is a tool to allow you to catch any Pokemon in any location from any location (your current location) without getting softbanned. Uses the RocketAPI (GitHub) Original by Neer. NOTE: Always create a separate GMAIL account for this tool. It will ask for the information it needs to snipe Pokemon. Tell it to catch * or Missingno to catch all Pokemon it can find. If you use it frequently, edit the included user.xml to quickly load your info. For the best chance to not be found cheating, edit device.xml with information from your actual device you use with the PokemonGo App. Automatic: Run autosniper.bat to have PokeSniper2 automatically catch all Pokemon listed on PokeSnipers. Command Line: Run PokeSniper2.exe Pokemon Latitude Longitude (Use spaces) to have it read from the user.xml, catch the Pokemon and exit. Link: Run registerurl.bat, and then you can click on pokesniper2:// links to instantly open PokeSniper2 and catch the Pokemon given in the link. Uses automatic ball and berry selection for the best catch chance. Q) PTC, Ptc or ptc? Q) I’m getting a lot of “There is no Pokemon here” in a row? A) You are likely API limited. There is no program fault in PokeSniper2, or fake data on PokeSnipers. 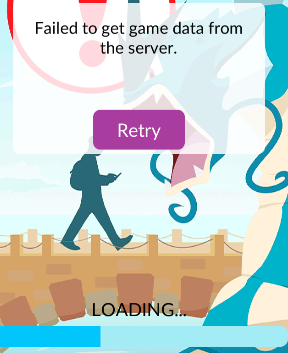 The PokemonGo server just responded with an empty map. See my other post (PokeSniper2 – Pokemon Sniper – Catch any Pokemon no matter where you are) for more info. Q) I’m getting “Expected 5 responses, but got 1 responses”? You can not use PokeSniper2 with this account until this restriction is lifted.